Webst3r posted a nice little updated over on alldroid.org. 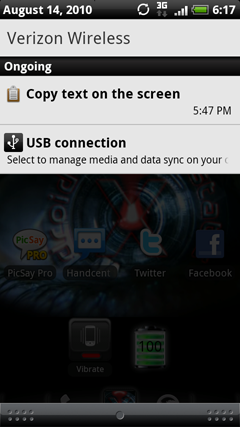 Apparently he’s been able to modify and update the following files on the Droid X to create what he calles SenseX. 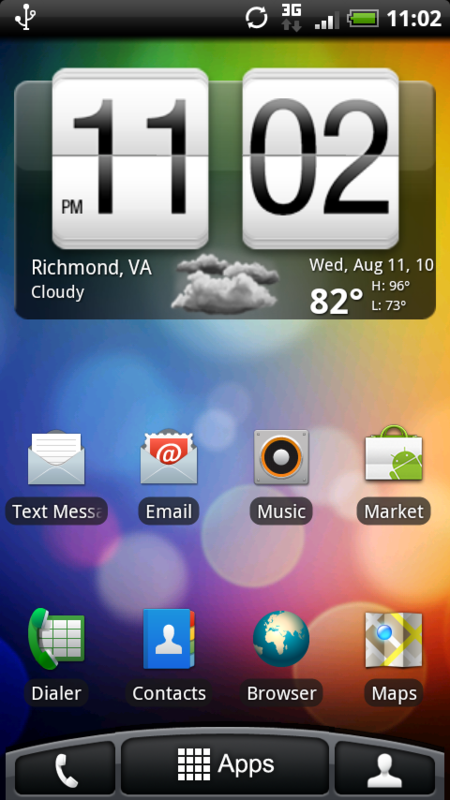 A very good port of SenseUI to the Droid X.
music.apk = Modded music widget, and app icon. settings.apk = Modded Power Widget and app icon. services.jar = White status bar clock. The nice thing about this way of breaking it down and updating the system by each file is that if you only want certain aspects of the theme you can choose to only push those files. So for example, if you only wanted the HTC app drawer that curves across the bottom of the screen, you could simply push the blurhome.apk file to your phone. And vice versa if you only wanted the black notification bar with the white clock in it you could push only the framework-res.apk, and services.jar files to your phone. Take note the app launcher does have a small issue as you can see in the pic, where it doesn’t fully stretch the width of the screen. They said this is an issue with Android that they cannot fix and are open to suggestions on how to do it. This doesn’t affect the functionality of the app launcher. You must be rooted to do this. So with the warnings out of the way, if you are already rooted (if not, check out our guide here), are familiar with system files and comfortable pushing files to your phone using ADB, then check out the authors post here, and let us know if you give it a try! Update: I decided I wanted that black status bar and notification area, so I went ahead and backed up, then pushed the two new system files to my phone, rebooted, and viola!